Wembley hosts a prestige International Friendly between England and Netherlands on Tuesday night. Who will win the clash. 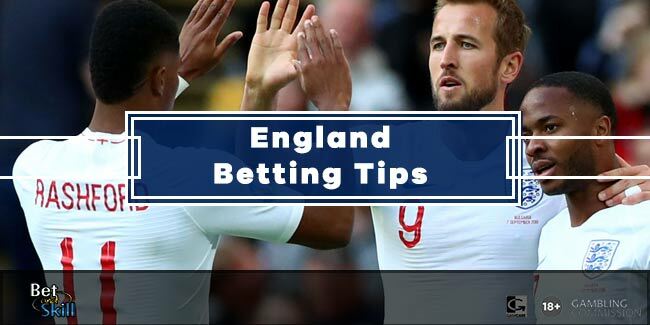 This article contains ENGLAND v NETHERLANDS betting preview with predictions, betting tips, best odds, starting lineups, streaming links, bookmakers offers and no deposit free bets on the England v Holland match! England came from two goals down to beat World Champions Germany 3-2 in Berlin on Saturday, arguably their best performance under Roy Hodgson. They have won 14 matches out of their last 17, since the disappointing World Cup 2014 campaign in Brazil and finished their qualification group with a 100% record. The Three Lions tasted defeat only once, 2-0 against Spain on November 2015. Jack Butland suffered a fractured ankle against Germany and will miss the Euros. Southampton’s Fraser Forster is likely to continue in goal. John Stones is expected to start with Gary Cahill making way. Leicester midfielder Danny Drinkwater could be in line for a start as well as his team-mate Jamie Vardy. Ross Barkley and Theo Walcott are likely to start in the offensive midfield trio behind Daniel Sturridge. Netherlands fell to another defeat against France (2-3) on Friday night, their fourth loss in their last 6 matches. The Oranje failed to qualify for the Euros finishing fourth behind the Czech Republic, Iceland and Turkey in Group A, but they’re out to restore pride with a host of young talents. Blind’s team have now lost four of their last six friendlies. They don’t have any problems scoring goals, but they are poor at the back having conceded 3 goals in their last 3 matches. Arjen Robben and Robin van Persie were ruled out of Danny Blind’s side for the 3-2 loss to France whilst regular goalkeeper Jasper Cillessen is out because of a broken nose. Wesley Sneijder is ruled out after picking up an injury against France and Memphis Depay, who made a positive impact off the bench in that match, should start. Klaas Jan Huntelaar of Schalke is expected to lead the line. Ibrahim Afellay also impressed after coming on as a second half substitute and he is in contention to start. Netherlands are on a 6 match unbeaten run against England, with 2 wins and 4 draws.Their last meeting was at Wembley in March 2012, Netherlands winning 3-2 on that occasion. England haven’t beaten the Dutch since the famous Euro 96 encounter. Enhanced Treble! 26/1 England, Scotland and France to win! Boosted price! 5/1 England to beat Holland! Price Boost! 6/1 England to beat Netherlands + £100 bonus! Risk-free! Crazy price! 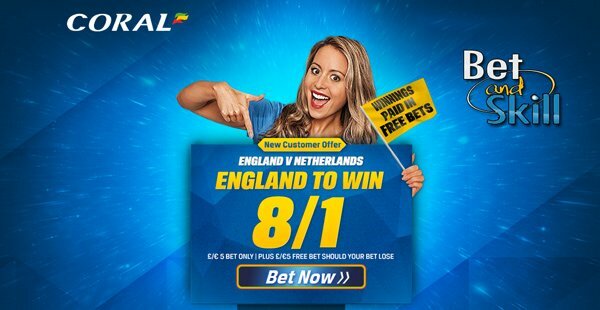 8/1 England to win + £5 free bet! "England v Netherlands predictions, betting tips, lineups and odds (International Friendly - 29.3.2016)"